The successor to Megaupload is under threat from both the authorities and the anarchists. 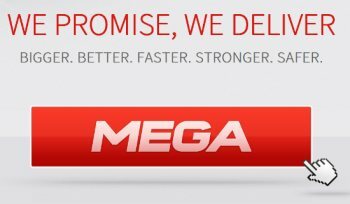 Kim Dotcom opted to go to Gabon for his upcoming Mega service in order to give it the catchy Me.ga domain name, but now it seems that he might have to reconsider the plan. Gabon's Minister of Communications Blaise Louembe announced yesterday that in order to "protect intellectual property rights" and "fight cyber-crime effectively," the government would prevent Dotcom from using the domain. "I have instructed my departments... to immediately suspend the site www.me.ga," Louembe said. "Gabon cannot serve as a platform or screen for committing acts aimed at violating copyrights, nor be used by unscrupulous people." Dotcom said in response that Mega has an "alternative domain" to fall back on but also accused the U.S. government and French multimedia giant Vivendi of being involved in the seizure, tweeting, "The reach of the US & Vivendi: Gabon Minister announced Me.ga domain will be suspended. Calls cloud storage site cyber crime." The top-level domain of Gabon is controlled by Gabon Telecom, which was revealed last week to be a wholly-owned subsidiary of Vivendi. Adding to Dotcom's headaches is a group of hackers calling itself Omega, which denounced him as part of a corrupt system and took over the Me.ga domain, redirecting it to its own site. It has since gone offline. "We're pure in a diogenist way, we're the true pirates, the true anarchists. Kim Dotcom is only taking advantage of us all, he is a megalomaniac with lawyers here to take advantage of us all, the nobodies, the artists he wants to profit from," the group told TorrentFreak. "Kim Dotcom is not better nor worse than Universal. He himself is an industry, only here to pollute." The group also offered to sell the domain to Dotcom's enemies for "millions of dollars" and promised to donate ten percent of the sale price to Forum des Jeunes du Gabon [Gabon Youth Forum] if Universal Music Group buys it.